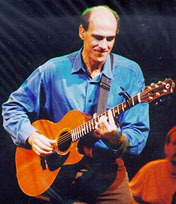 Grammy award winner ‘James Taylor’ and his incredible band toured Australian theatres in early February 2003. The tour ‘sold out’ all the scheduled concerts, and the amazing performance covered James Taylor’s extensive song repertoire. JPS provided a Clair i4/i4B speaker system along with the new Clair iO system controllers, which were custom developed by Lake Audio for Clair Brothers. The Clair iO system incorporates crossover/delay/equalisation and system protection along with a wireless remote interface which enables the engineer to walk the venue and select then adjust any of the speaker system zones. Amplification was taken care of by Crest 10-004 and QSC 9.0 amplifiers. The show received excellent reviews in both the sound quality and the performance of James Taylor which was highlighted by session greats Steve Gadd on drums and Michael Landau on guitar to name a few.